Did you know that addition is the opposite of subtraction and that division is the opposite of multiplication? In fact, these opposite operations will undo each other! These types of operations are called inverse operations. Get a great look at inverse operations with this tutorial! What is a Literal Equation? A literal equation is an equation where variables represent known values. Literal equations allow use to represent things like distance, time, interest, and slope as variables in an equation. Using variables instead of words is a real time-saver! 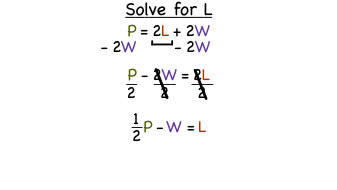 Learn about literal equations with this tutorial. How Do You Put an Equation in Standard Form Into Slope-Intercept or Point-Slope Form? Looking for some practice converting the equation of a line into different forms? Then this tutorial was made for you! Follow along as this tutorial shows you how to take a linear equation from standard form and convert it into slope-intercept form and point-slope form.